About 39,000 Verizon workers are protesting the lack of progress negotiating their contract on Wednesday by walking off the job. The landline and cable workers’ contract expired about eight months ago. Their coverage area for Verizon’s wireline business — fixed-line phone services and FiOS Internet service — includes Connecticut, Delaware, New York, New Jersey, Massachusetts, Pennsylvania, Rhode Island, Maryland, Virginia and Washington, D.C. The unions say Verizon wants to freeze pensions, make layoffs easier and rely more on contract workers, reported the Associated Press. Verizon says it had prepared for the possible strike by training thousands of non-union workers to fill in where necessary. 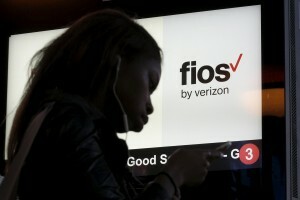 The strike is one of the largest in Verizon’s history. Negotiations ended last week without new talks being scheduled.